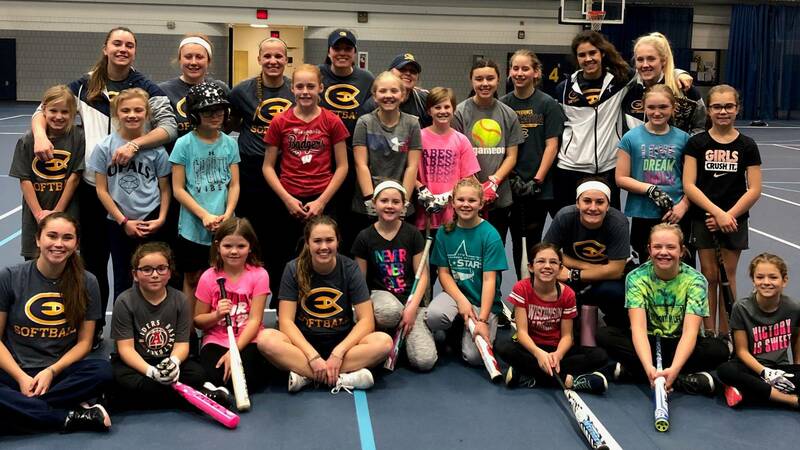 The foundational philosophy of Blugold Softball, as well as Blugold Softball Camps, is “compete and win.” At UW-Eau Claire, softball players and coaches approach competing differently. If we are working to be the very best version of ourselves every single day, no one will care who gets the credit when we succeed. At the same time, being the best version of ourselves will raise the level of play of our teammates. 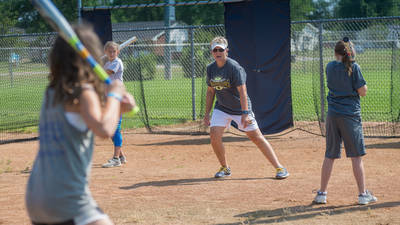 “WIN” is an acronym in the softball program that may be familiar to some: What’s Important Now. Using the “WIN” approach helps our players and coaches stay focused on the present and the process, not overwhelming ourselves with the outcome. 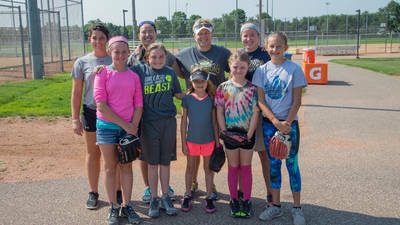 During Blugold Softball Camps, participants will be challenged by the physical components of the game of softball as well as mental, emotional, and leadership components. 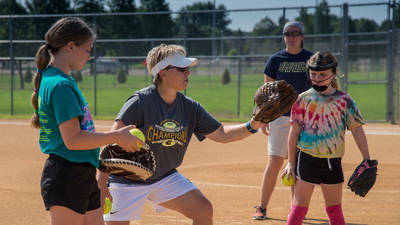 Camps are directed by the coaching staff, and current and former players. 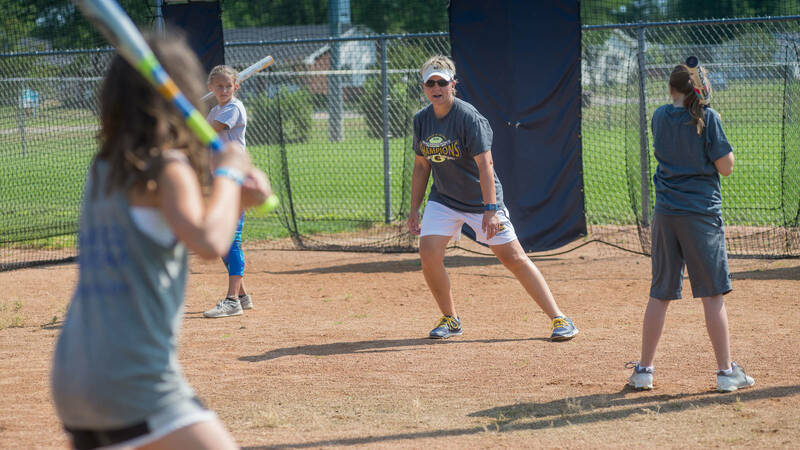 Camper-to-coach ratio is kept very low due to the detailed nature of teaching the components of the game. 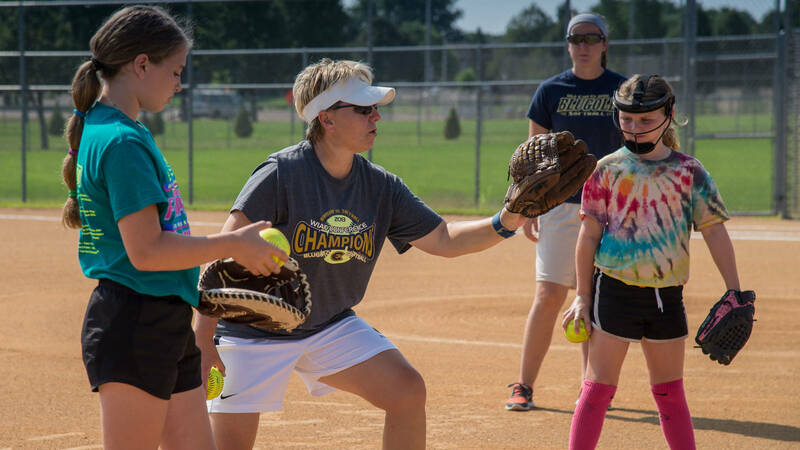 It is our hope that participants will leave camp with increased knowledge, after enjoying the quick-paced, interactive, and competitive drills and situations presented. 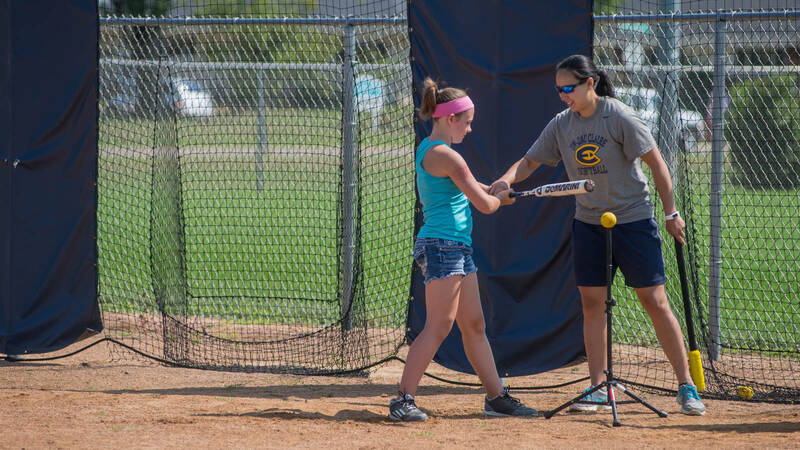 This intensive hitting camp will focus on proper hitting mechanics with a focus on developing bat speed. 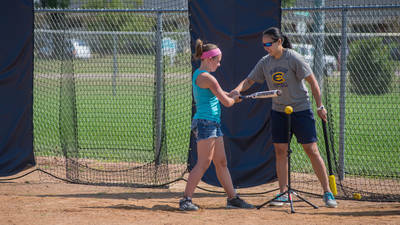 Participants will work through hitting mechanics with current Blugold players and coaches right by your side. You will learn by performing a variety of drills designed to help you develop a powerful swing. Time will also be spent on the mental aspects of hitting, including things like your routine, playing one pitch at a time, having a plan at the plate, and how to find success on a day you are 0-4. 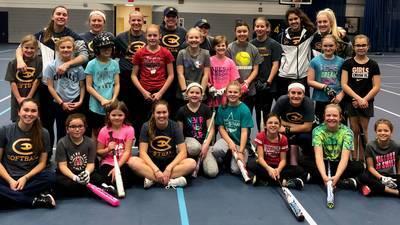 Slappers will not be included in this hitting camp. *Due to the intense nature of this camp, we are taking registrations only for 14U players and up. 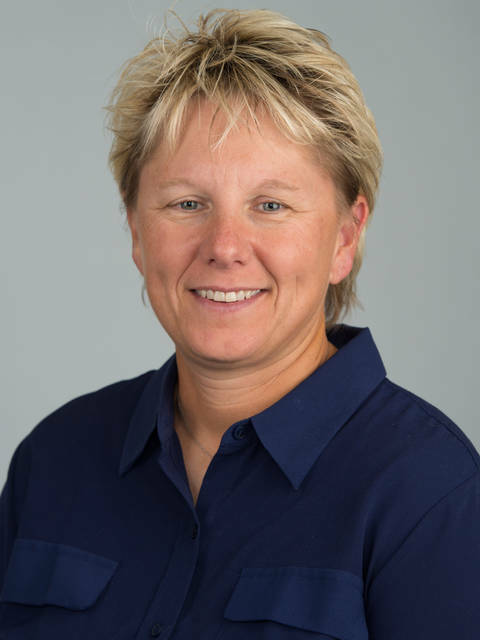 If your daughter “plays up” to 14U, she may attend, but she needs to be mentally prepared for an intense learning environment. 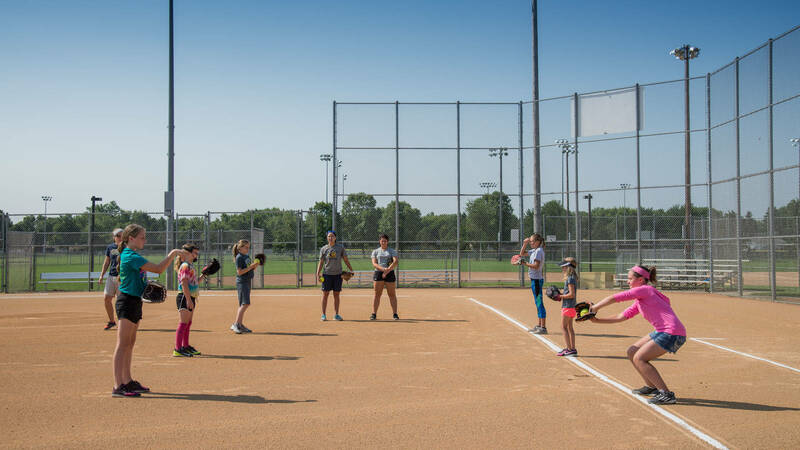 This intensive pitching camp will focus on proper pitching mechanics, and then progress into throwing the change-up, as well as breaking pitches. 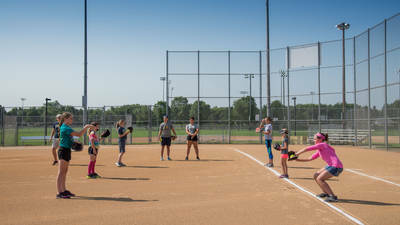 Participants will be taught how to use their legs for power, along with how to self-correct when things go wrong, and how to take ownership of their pitching. 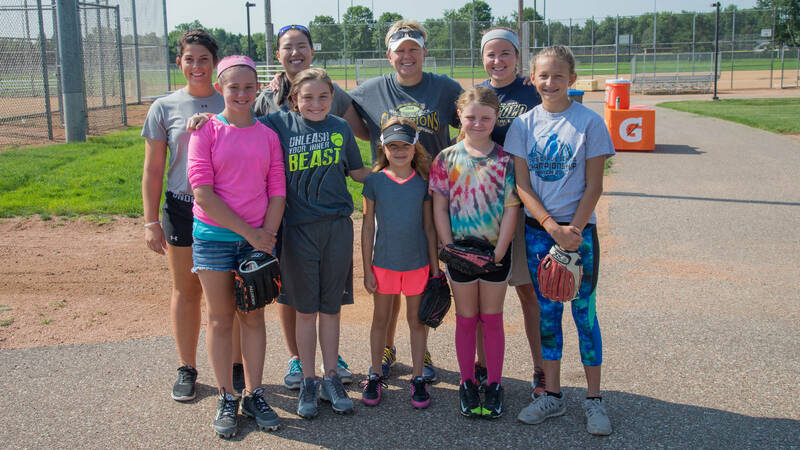 We will also spend significant time on the mental aspect of pitching, utilizing the experience of the current Blugold pitchers, as well as coaches. Pitchers must provide their own catcher for this camp. *Due to the intense nature of these camps, we are taking registrations only for 14U players and up. If your daughter “plays up” to 14U, she may attend, but she needs to be mentally prepared for an intense learning environment.